The Renaissance Festival is a medieval amusement park, a 14-stage theatre, a 30-acre circus, an arts and crafts faire, a Jousting Tournament and a feast, all rolled into one non-stop, day-long, family adventure! 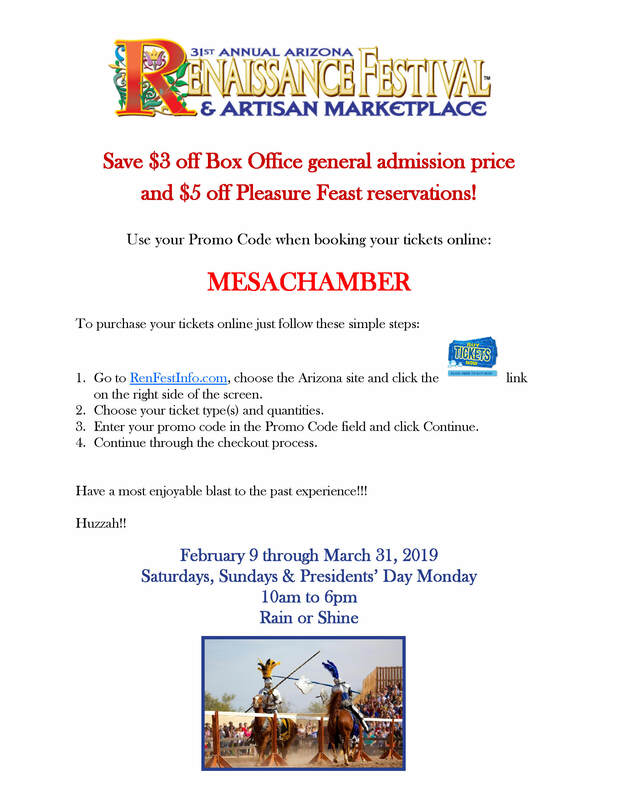 February 10th, is Mesa Chamber of Commerce Day! RSVP using this event to let us know who to expect. Order your tickets through the Festivals normal means (or, if tickets are still avaipable through the Soup-er Bowl, get them that way). Take the Superstition Freeway (US Hwy 60) East, past Gold Canyon Golf Resort to the Festival. Tickets Must be Purchased Seperatley From this RSVP.